As part of requirement to obtain my A&P certificate, I was to witness a few more engine overhauls, so I called Poplar Grove Airmotive (PGA), one of the largest engine overhaul shops in the country and asked them if I could spend a day or two in their shop following engines through their shop from teardown to delivery. They said that I was more than welcome to come in and spend as much time as I would like. Poplar Grove Airmotive is a locally-owned engine shop located on their airpark (C77), just east of Rockford, Illinois. The airpark and shop is owned by Steve and Tina Thomas. It grew out of what was once his dad’s dairy farm which he bought when his dad passed away. Back then it was just a single grass strip runway on a farm. 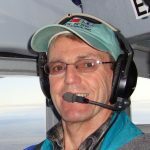 Steve and Tina have since grown it into a full service FBO with flight instruction, 400 hangared aircraft and roughly 150 airpark homes, and last but not least, a very professional engine and airframe rebuild shop. The engine shop rebuilds more than 200 engines a year. Recently is was rated as the second best rebuild shop in the nation. Once your engine arrives at the shop whether it’s due to a prop strike or a scheduled major overhaul, the engine goes through a process regulated and approved by the FAA. Similar to flight schools, the FAA makes regular visits, usually someone from the local FSDO, that perform inspections, mostly though—I’m told, to check and see if all their paperwork is in order. 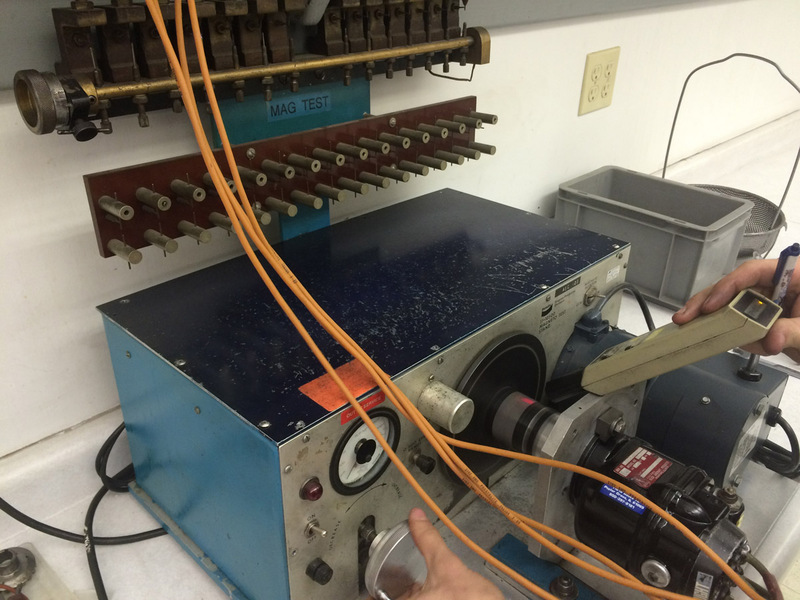 Also, all of the tools used for measurement have to be calibrated on a regular basis. This is performed by an independent certified and FAA approved company. This was taking place on site during my visit in a portable testing facility van provide the company. The first step taken at in the engine rebuild process is to verify what components were shipped with the engine. I was told that I would be surprised at the number of customers who claim that the engine was missing one or more components when it was returned for their shop. This was an issue at one time but they have since learned to thoroughly document the engine. PGA does not care what you ship with your engine as they will document it thoroughly by taking as many pictures as possible of its state and of all the components. This helps not only to confirm what came in with the engine but also help the technician in the reassembly. As they noted on any particular engine whether it be Lycoming or Continental, there can be several dozen variations in the engine and its accessories. Once the documentation is complete, the engine is sent to the teardown section of the facility where one technician is assigned to do the teardown. During the teardown phase, the technician takes note of anything unusual he discovers and documents it on paper and with photos if required. This process for a 4-cylinder Lycoming takes an experienced technician about 2.5 to 4 hours to complete depending how many accessories are on the engine. Some engines are sent to PGA with all the engine baffles on and usually the technician has to document the condition and note what will need to be repaired or replaced. PGA does the baffle repair work in house. After the teardown the engine is inspected by a technician who performs a thorough research on the engine to identify any ADs that need to be complied with during the overhaul. At this point the inspector makes an initial determination as to what parts are ok, what parts will require work and what parts are no longer usable. 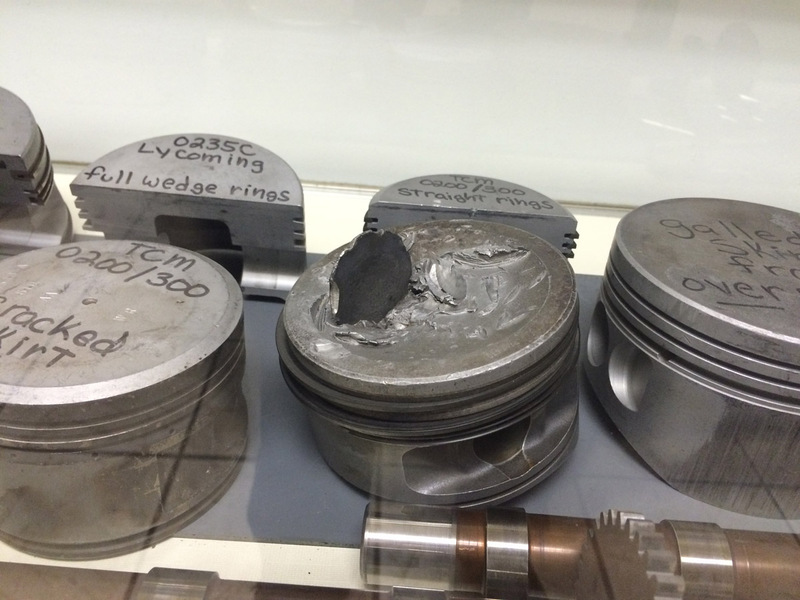 The 4-cylinder Lycoming engine that I was observing was a scheduled overhaul but upon a visual inspection of the cam, it was discovered one of the cam lobes had excessive wear and the cam was not salvageable. Another issue they see on damaged engines are crankshaft bearings coming loose. This starts out probably from improper torquing of the bolts on the case which leads to fretting on the case halves which loosens the bearings. Then the bearings will start shifting and/or spinning in the case which leads to bearing failure since the oil cannot get to the crankshaft bearing thus seizing up the crank. The technician noted that this particular engine was probably making metal for quite a while and it is surprising that the owner did not notice this. He said he sees a lot of these and these engines do keep running but time was running short on this one. A conscientious owner would inspect the oil filter during a regular oil change and would have discovered this much sooner. He said that these engines are very durable and that they usually give you plenty of warning before they stop or just come apart. The main thing to check on the health of your engine is the oil. Change it on a regular basis and check for metal and check your plugs. The plugs and exhaust will tell you if your engine is combusting properly with a gray film on the inside of your exhaust pipe and your plugs with similar gray-brown coloration are signs of a healthy engine. The cylinders themselves are removed as one assembly and are not disassembled any further. If necessary that step takes place in a separate area called the cylinder shop. Once the engine is apart, many of the components are checked for cracks and metal fatigue. Two of the main inspection techniques used are dye penetrant and Magnafluxing. Magnafluxing is a process where the steel parts are individually charged with a DC electric current while a fluid with magnetic particles are sprayed over it. Then the part is placed under a fluorescent light to observe for any cracks. If there are any cracks, they will show up under the light. The technician in the Magnaflux booth had a sample crankshaft he showed me. I could not visually see any cracks in it but once he magna fluxed it, a crack was clearly visible. The crank was from an airplane that experienced a sudden prop strike. By FAA regulations, if an engine experiences any sudden stoppage, the engine is required to be torn down. I asked him what percent of cranks they see with cracks in them due to props strikes and he commented very few. 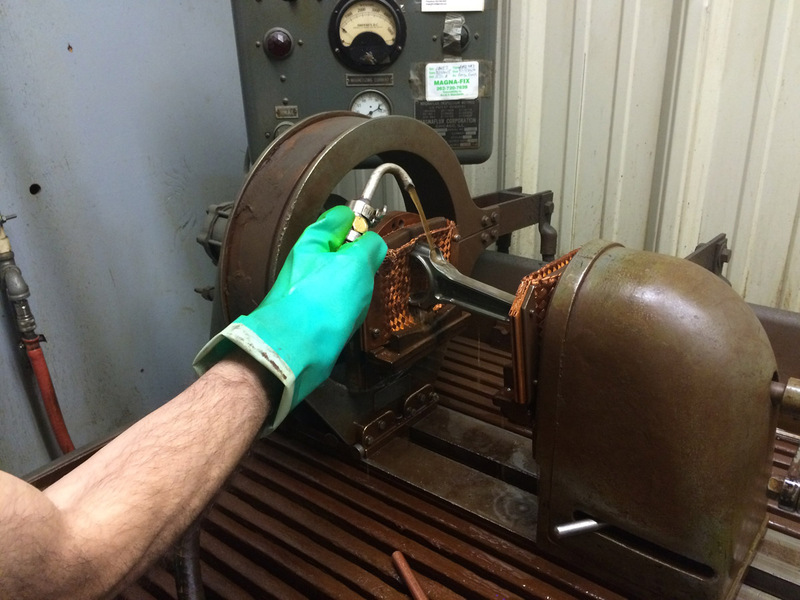 Once the test is complete, every part then has to be demagnetized by moving it slowly through a magnetic loop with AC current through it. This demagnetizes the part. 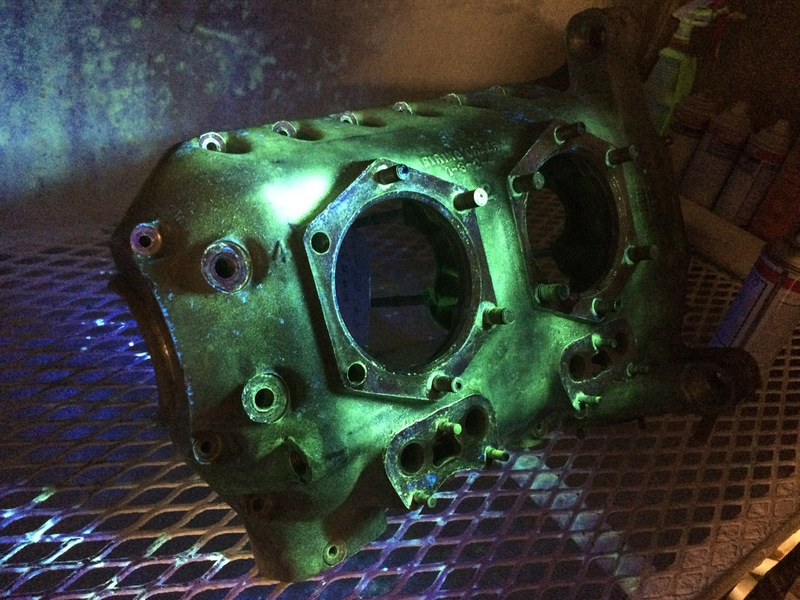 For the remaining nonferrous part like aluminum parts, a dye penetrant is sprayed on the part and put underneath a black light. 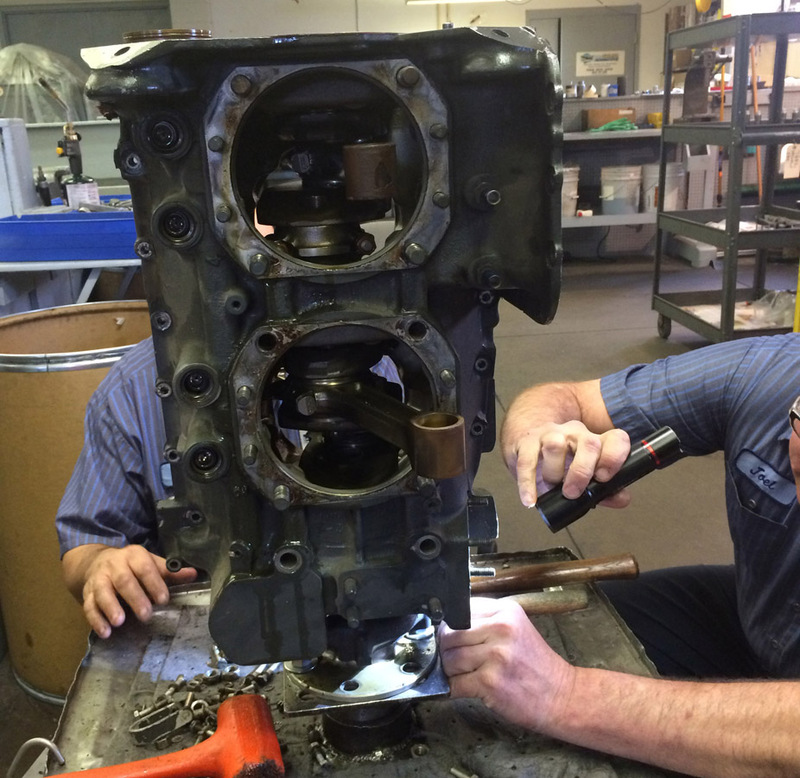 The engine blocks of Lycoming engines are checked usually at the teardown station. Known typical spots for cracks in the casing are sprayed and checked, On some of the Lycoming models, it’s the area where there is some ribbing. This particular engine passed that test. In the cylinder shop, the cylinder assemblies are inspected for overhaul appearances and checked to see if any of the components are subject to any ADs. Here the cylinders can take a number of paths. For instance, if a low-time engine experienced a prop strike, the cylinder would be inspected and tolerances checked. If nothing is out of the ordinary, the parts would be just “dressed up,” i.e. valves cleaned and reseated, and cylinders re-honed. If the rings looked good, they would not be replaced. The owner of the engine would however be instructed to run the engine as if it had new rings to reseat them per the engine break in criteria with mineral oil. 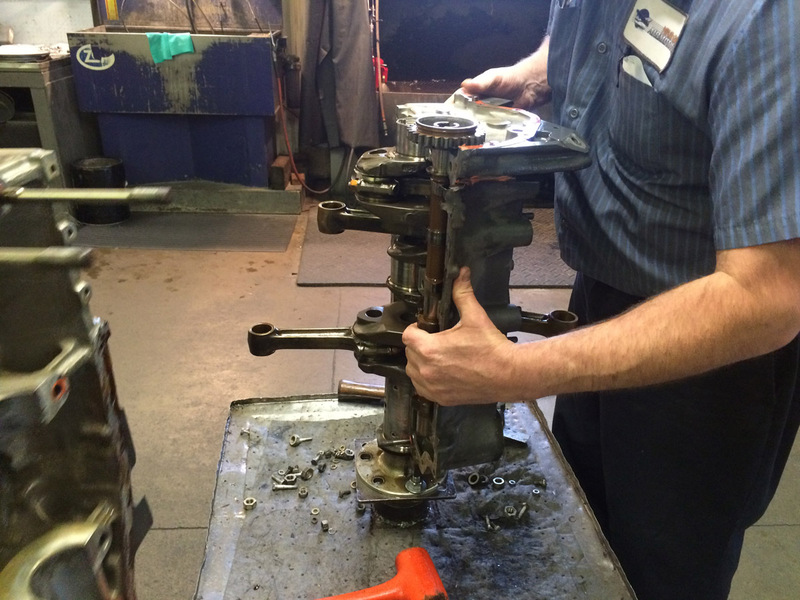 The reseating of valves steps include grinding of the seats and the valves with grindstones under an oil bath. This appeared to be more of an art than a science and the PGA technician agreed. 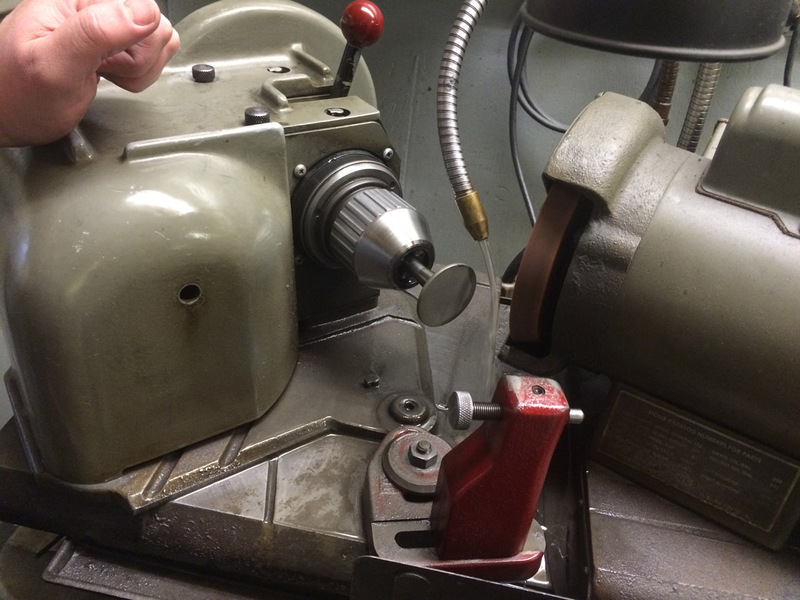 The same goes for valve seat lapping where the technician basically uses two types of grinding compounds and works the seat and valve back a forth by hand to obtain the desired result. 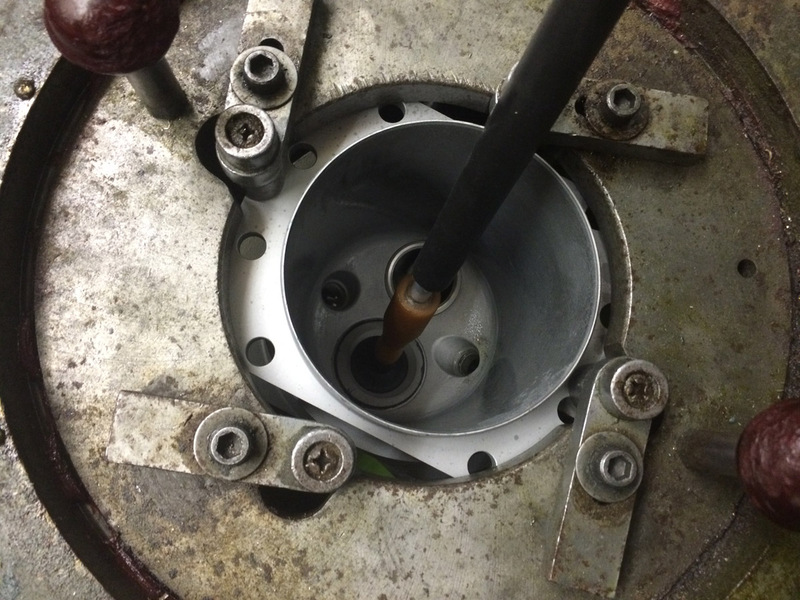 The seat/valve has to show a fine seat mark about 1/16” in width in the middle of the valve seat. If this mark line off to one side, one has to start over regrinding the seat and re-lapping to obtain the desired result. If this in not done properly you can end up with burnt valves, stuck valves, blow-by, and all kinds of trouble. A simple process but a very important one that has to be done properly—and remember there are eight of these in your 4 cylinder engine that have to be done just right. The honing process is another one those art processes—this has to be done properly as well. One thing to note, there are cylinders with choke in them and ones without. Choke, being the taper in the cylinder, is to allow for expansion of dissimilar metals and varying temperatures along the length of the cylinder. Also the cylinders themselves are made of different materials/coatings. The most common out there right now are steel and steel-nitrided cylinders. The third, although less common, but they do see a lot of them are chrome. Steel is just bare steel. 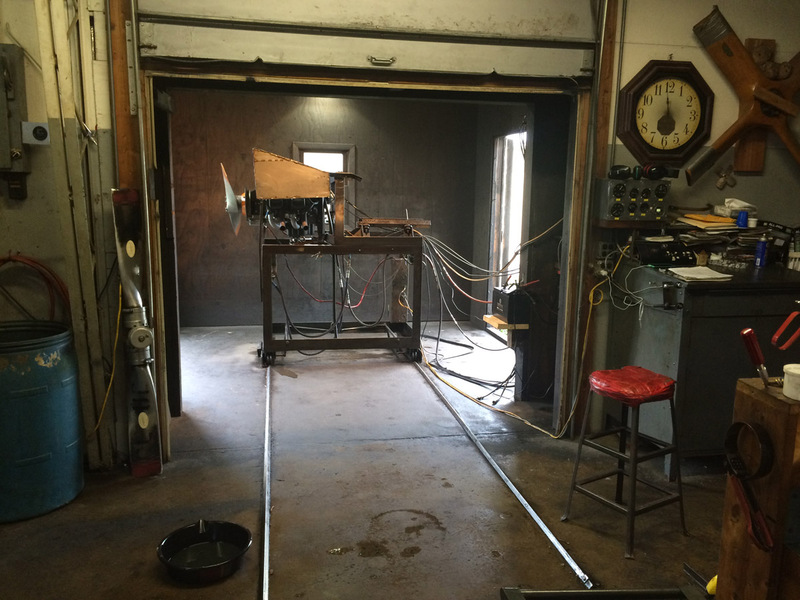 Nitriding is a process where they coat the steel. Chrome cylinders have a chrome plating but they are chemically etched as well to provide voids for the oil to be trapped in order to lubricate the cylinder walls properly. PGA said that the nitrided cylinders are the best and are probably the easiest to brake in-without causing cylinder glazing. On the other end of the spectrum is chrome which may take up to 50-75 hours to break in (seat your rings). Getting back to the cylinder overhaul-they do not exchange heads on cylinders. It is more economically feasible at time for the owner to just replace the entire cylinder. At this stage the owner will typically be notified to bring him up to speed on the health of the engine and to offer some options on reusing existing parts or replacing them. For instance, a cracked case can be repaired, or a new one provided, or a repaired one from their inventory can be used. PGA does not repair cases as this is a special art. They send them out to a shop that specializes in this. So the owner has to weigh the delay vs. cost into the equation. PGA does major overhaul on mags—typically the FAA requires a 500-hour inspection overhaul on mags so they do plenty of these. Before and after the overhaul they test every mag for the spark and its intensity as well as the operation of the impulse coupling on the mags that have them. After all the parts have been cleaned and new parts that are needed have arrived, some are painted individually using a high-temperature enamel paint according to the owner’s choice of color but most of the engine is painted as a whole to make sure the nut bolts are painted the same color. Once some of the parts are painted and all other parts are together, the engine is ready for reassembly. On my visit they had three dedicated technicians doing nothing but engine reassembly. It was quite a process. On the typical 4-cylinder engine, it takes one of their veteran technicians about two days to complete the process. Here is where they use the photos they took when the engine first arrive to assure it is assembled the exact same way it came in. They generally reuse the hardware and engine baffling. Once the engine is finally assembled, it is sent out to their engine test cell where it goes through a thorough engine runup for a two-hour period. One thing to note, they do not dyno all the engines, this is only done at the owners request. They use a different test cell for that procedure but it’s done at no extra cost. So the question one would ask is how long it takes for them or a typical shop to perform a major overhaul. The standard answer they give to their customer on small engines is typically one month but that can vary drastically depending on whether the casing has to be sent out for repairs and whether parts are available. I noticed they had over three dozen engines torn apart and asked what the status of them were. They indicated that some have been sitting in their shop for up to a year. Many are waiting for parts but a lot of them are waiting for the owner to decide on what options to proceed with or insurance issues that have not been resolved yet. Many are large engines where the overhaul can be as much as $50,000. So, neglecting your engine can get very pricey and keep you from flying for quite a while depending you your financial situation. The trip to PGA was a rewarding one and I would recommend it to anyone—these folks are very friendly and professional. Another thing to note—you say you have a brand new engine so you don’t have to worry about any engine issues early on. I was told that PGA was seeing Continental engines in the Cirruses with an unusually high number of engines with cracks in their casings and quite a few of them with very few hours on them. After a few iterations in Continentals case design, I was told they believed that Continental had addressed this issue as they have not seen any low time casings with cracks recently. In closing, just keep a watchful eye on your engine whether it’s a factory new engine, recently overhauled, or mid-time. Preventive maintenance is a good thing.